In her role as communications and development manager, Amber is responsible for meeting communications and development needs including program deliverables, organizational visibility, website and project management, constituent services, event management, and funder engagement by supporting LiveWell’s programs, policy efforts, and partnerships in advancing LiveWell’s mission. Amber has worked in the development field for over five years and brings exceptional skills in event management, donor and database management, communications & digital marketing, and operational support. Prior to joining LiveWell, Amber worked as account manager at RedBasket.org, a nonprofit crowdfunding website dedicated to helping individuals raise money for personal emergencies and community improvement projects. Before that she was the fund development coordinator for Girl Scouts Spirit of Nebraska in Omaha. She holds a Bachelor of Science degree in business administration and marketing from the University of Nebraska at Lincoln. Outside of work, Amber loves exploring the city and mountains, attending concerts and festivals, and volunteering for animal and health causes. 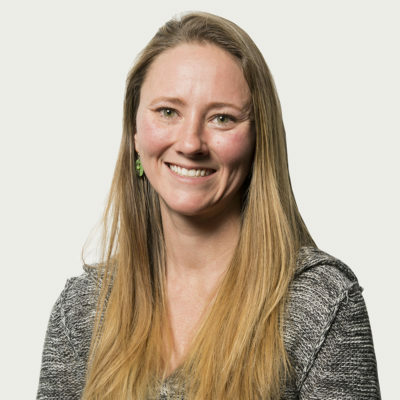 In her role as policy director, Julie provides critical leadership for LiveWell’s advocacy and policy efforts to inspire and support elected officials, decision-makers, and other stakeholders to advance federal, state and local policies that increase access to physical activity in Colorado. Julie also oversees LiveWell Colorado’s HEAL Cities & Towns Campaign, which helps municipalities adopt policies that increase access to healthy food, active living, and healthy workplaces. Prior to joining LiveWell, Julie was the director of government relations for the Colorado Association of Schools Boards, working with school boards and superintendents to ensure their voices were heard and understood by the Colorado General Assembly. She was also the lead on school health and wellness issues. Before that, Julie was the government relations coordinator for the City of Aurora, where she developed a thorough understanding of municipal governments and forged a strong relationship with the Colorado Municipal League. Julie holds a master’s degree in public administration from the University of Colorado and a bachelor’s degree in political science from Columbia University. She is an avid runner, somewhat regular cyclist and occasional swimmer, having officially retired her cap and goggles after swimming competitively for four years in college. As President and CEO, Gabriel is responsible for leading the strategic direction and operational efforts of LiveWell Colorado. Gabriel has been a core member of LiveWell since 2010. Prior to taking the helm as President and CEO, he was the executive vice president of local initiatives and strategy for LiveWell Colorado. In that role, he helped increase LiveWell Colorado’s impact in communities and schools across the state while elevating the organization’s understanding of the barriers to healthy eating and active living, particularly for those who face significant financial, racial and educational obstacles. He also served as interim CEO for LiveWell Colorado from October 2013 to August 2014. Since 2010, Gabriel has dedicated his career to LiveWell Colorado’s mission and impact, bringing a commitment to health equity and the ways in which obesity and its root social determinants impact our communities, our children and our future. Throughout his career, Gabriel has worked with nonprofits, community groups, government agencies and the private sector around critical social issues such as affordable housing, health and economic equity. Prior to his time at LiveWell Colorado, Gabriel was director of community development and then executive director of the Community Resource Center, providing professional development opportunities, resources, and customized training to build capacity and skills at nonprofits and community-based organizations in Colorado. He also served as executive director for 2040 Partners for Health, a nonprofit focused on health and healthcare for residents in Northeast Denver and Northwest Aurora. Gabriel serves on various advisory committees and task forces including Mile-High Connects and Blueprint Denver. Gabriel received a master’s degree in organizational leadership from Regis University and a bachelor’s degree in political science from the University of Colorado. Gabriel and his wife, Sara, are the proud parents of two children, Grace and Evan. In his role as food systems and digital marketing specialist, David works cross-functionally to provide project and operational support as well as help meet digital marketing needs for LiveWell Colorado’s various programs, initiatives and fundraising strategies. David brings a strong background in project and event management. He has worked in community mobilization and has a passion for diverse communities. Prior to joining LiveWell, David was the community health coordinator at Spring Institute for Intercultural Learning in Denver, where he worked directly with refugee communities, coordinating various health-focused programs and mobilizing individuals to improve community. Before that he worked as special projects director for UReach in Loma Linda, CA, connecting partners and communities in the San Bernardino area. David holds a master’s in management from the University of Redlands in Redlands, CA, and a bachelor’s in psychobiology from La Sierra University in Riverside, CA. He lives in Denver and, outside of LiveWell, can be found exploring new places, trying out different food spots, or catching up on the latest comic book / TV show. In her role as policy director, Terri provides critical leadership for LiveWell’s advocacy and policy efforts to inspire and support elected officials, decision-makers, and other stakeholders to advance federal, state and local policies that increase access to healthy food in Colorado. 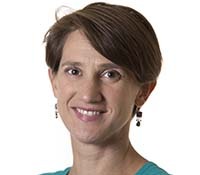 Prior to joining LiveWell, Terri worked at the Colorado Division of Criminal Justice developing and managing a statewide program to create locally coordinated community responses to sexual assault, increase local capacity regarding the provision of services to victims, and develop and implement statewide public policy. She also spent 13 years lobbying the Colorado state legislature on issues such as affordable housing, at-risk children, and crime victims. Terri received a bachelor’s degree in history and political science from Colorado College in Colorado Springs, CO. When not diligently working at LiveWell, Terri can most often be found cycling with her husband, walking with their dog, or reading books. As the vice president of finance and administration, Heidi is responsible for the oversight and management of all financial and administrative operations, including day to day accounting functions, investment and financial analysis, cash forecasting, human resources, benefits management, information technology and facilities management. As a member of the senior leadership team, she oversees the health and financial viability of LiveWell, contributes to strategic planning, and works to maintain a high-performing culture throughout the organization. She also leads the budgeting process and oversees annual audits, reporting requirements and risk/liability controls. Heidi ensures that comprehensive systems are in place for monitoring and growing both financial and human resources for the organization. Heidi came to LiveWell Colorado with more than a decade of extensive nonprofit accounting experience in a wide variety of organizations. She began her career installing a computerized accounting system for a nonprofit organization in Africa and, prior to joining LiveWell Colorado, worked as a contract accountant in the Denver Metro area, managing the accounting functions for a diverse group of nonprofit and for-profit organizations. She holds a bachelor’s degree in business administration from Regis University. Outside of work, Heidi enjoys judging high school gymnastics and is currently serving as a member of the National Rules Committee for High School Gymnastics. She also enjoys biking around the Denver area and on the trails near Breckenridge. Heidi has three grown children and lives in the Denver area with her husband, Jeff. As food access manager, Amy implements programs to strengthen access to fresh, healthy food within diverse communities in Colorado. She works with LiveWell Colorado’s strategies related to food systems, food access, and food promotion. Prior to joining LiveWell, Amy was a coordinator for a fresh food box distribution program designed for low income residents in Detroit, MI. She coordinated supportive programming highlighting cooking on a budget, storage of fresh food, and making the most of Supplemental Nutrition Assistance Program (SNAP) dollars. Amy also has prior experience from roles implementing farmers’ market programming and strengthening food access through Double Up Food Bucks Michigan and local transportation initiatives. Amy holds a bachelor’s degree in human services from Graceland University in Lamoni, IA, and a master’s degree in social work with concentrations in community organizing, social policy, and evaluation from the University of Michigan. When not at LiveWell, Amy can be found hiking, reading, or enjoying one of Denver’s fantastic parks with friends. As the finance and administration manager, Susan Perrigo supports the vice president of finance and administration with the organization’s financial and administrative responsibilities, which includes administration of accounts payable, accounts receivable, month end closing and reporting, contracting, as well as assisting with the annual audit. She also plays a vital role in the annual budget process, supporting staff in creating program budgets and providing budget tracking support throughout the year. Prior to joining LiveWell Colorado, Susan worked as an auditor in public accounting, enjoyed raising three amazing kids, and most recently held the position of Finance Director for a local nonprofit organization supporting Public Health initiatives. She contributes to LiveWell her experience in accounting, auditing, systems and grant management, including Federal grant administration and management. Susan holds a bachelor’s degree in accounting from the University of Colorado, Boulder. She shares LiveWell’s passion for supporting access to healthy eating and active living for all of Colorado’s residents and credits the same as well as a healthy dose of luck for surviving a cancer diagnosis in 2002. Outside of work you will find her outdoors running, hiking, biking, skiing, and generally enjoying the abundant Colorado sunshine. As the evaluation and learning manager, Claire provides critical support that allows daily office operations to function smoothly and efficiently. Claire coordinates logistics and communications for many important internal and stakeholder meetings and serves as the first point of contact for external stakeholders seeking information about LiveWell Colorado. Claire possesses an exceptional understanding of database management. Claire manages LiveWell’s internal fundraising database and ensures that all of LiveWell’s databases and online platforms are integrated. Additionally, Claire supports the development team. Claire received her bachelor’s degree in English literature in 2010 from Saint Mary’s College. In 2014 she earned a master’s degree in public affairs from Indiana University with concentrations in nonprofit management and policy analysis. Jessica Wright began consulting for LiveWell Colorado as a Chef for the School Food Initiative back in 2011. Now in her current role as Procurement and Culinary Programs Manager, she provides key support to the Director of Food Systems and Local Procurement Colorado team. Jessica’s school food expertise allows her to introduce a “chef-mentality” to school food programs, training and supporting staff on culinary skills, kitchen operations, and community engagement. Her goal is to create sustainable farm-to-institution programs where nourishing, from-scratch meals become the standard, while creating a culture of health through whole foods. Prior to joining LiveWell, Jessica worked for a few different restaurant corporations in Denver. She spent a majority of her time working for Modern Mexican Restaurants Inc., where she handled purchasing, inventory, and staff training for multiple restaurants across the nation. During this time, she also worked as the Sous Chef for La Sandia, a comfort food concept rooted in Central American flavors. Jessica holds a bachelor’s degree in Culinary Management from the Art Institute of Colorado and sees a master’s degree in Public Health in her future. In her free time, she can be found enjoying many of Colorado’s outdoor activities with her husband (also a chef!) and pups, or testing out new recipes in her kitchen. In her role as Program Assistant, Emily assists the LiveWell team with project and office management and overall operational support, including administrative and logistical tasks for a variety of LiveWell’s projects and programs. Prior to joining LiveWell, Emily worked as a Community Organizer in the Pets For Life program at Denver Animal Protection. As the shelter’s first Community Organizer, Emily facilitated over 1,700 free spay/neuter surgeries and connected thousands of people and their pets with services and resources such as free vaccines, pet supplies, and low-cost veterinary care. Before that, Emily was the Client Relations Manager for Wills & Wellness, a boutique estate planning law firm in Denver, where she supported five attorneys and ensured an exceptional client experience. Emily holds a Bachelor of Arts in International Studies from the University of Colorado Denver. Emily spends her free time relaxing with her senior pit bull, practicing yoga, fretting about her African cichlid aquarium, dancing in her living room, and planning her next travel adventure. Her favorite destinations include Maui; Tangier, Morocco; and Isla Mujeres, Mexico. In his role as the procurement coordinator and culinary specialist, Fernando brings his experience as a chef to help transform the food system and the way people eat in our state. Back in 2011, he started working for LiveWell’s School Food Initiative as a chef consultant and he did that for more than 6 years. Traveling all over Colorado, Fernando taught adults how to cook healthy food for children and for themselves. LoProCO is an exciting new opportunity that Fernando is thrilled to be part of because the focus is not just in schools. It goes beyond that into institutions like hospitals, childcare centers, universities, etc., and it brings local farmers into the mix. His favorite thing about this new program is that, he can use his knowledge and experience about food to make sure people are not just nourished but healthy. Fernando loves watching people try new recipes and learn how to appreciate real food. Fernando holds an associate’s degree in culinary arts and a double bachelor in hospitality administration and Spanish. In his free time he can be found at a yoga studio or outdoors hiking the beautiful mountains of Colorado. In her role as Food Systems Specialist, Caronne supports and strengthens multiple programs and initiatives currently being advanced by LiveWell Colorado, with a specific focus on Double Up Food Bucks (Double Up) and related programs. As a key member of the food systems team, the Specialist will proactively provide partner outreach and engagement, coordinate program logistics, and develop new ways to expand and deepen existing programs. Prior to joining LiveWell, Caronne active in the community fighting for wellness as owner of G.H.E.T.T.O. Phresh, LLC, a nutritionist at BCDI – Denver, and co-owner/operator of the local vegan restaurant Love, Peace, & Sol. Caronne is an entrepreneur and visionary. In her free time she enjoys urban gardening, juicing, teaching cooking courses and nutrition education, and spending time with her three little ones at the movies or local parks.